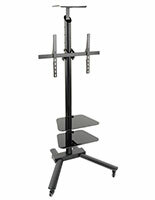 This Discont Monitor Stand Sized for 37" Flat Screen TVs is For Sale with an Adjustable Tilting Bracket! The Monitor Stand is Great for Homes and Offices and Matches Any Atmosphere! 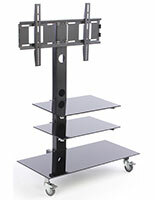 Check Out Our Full Line of Television Stands Online! 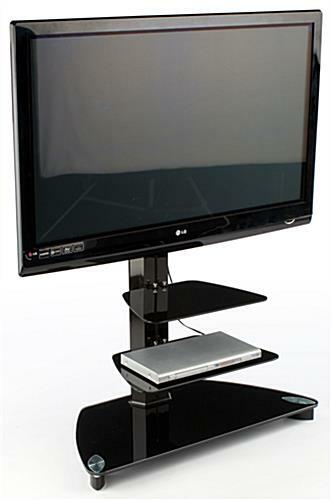 The monitor stand, also known as a plasma stand and an LCD stand, features a tilting bracket that can hold a 37" to 70" television. 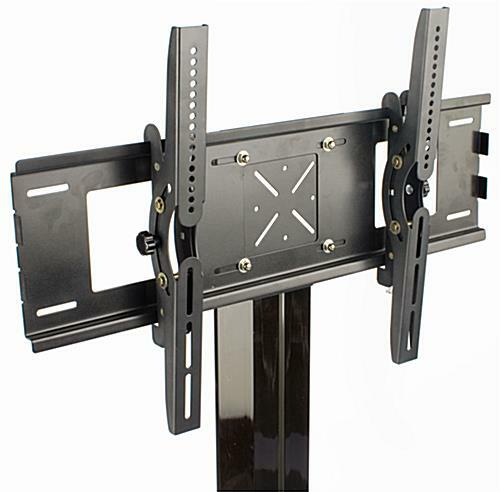 A tilting bracket enables you to angle your television 15° to best suit your needs. 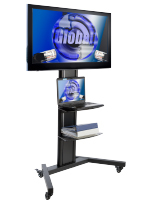 This plasma stand, monitor stand has a heavy black glass base to help stabilize the display. Feet beneath the stand elevate your television to better viewing height, as well as help prevent scuffing from the glass base. 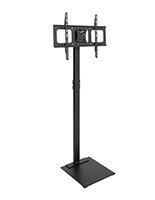 This discount monitor stand sized for 37" flat screen TVs is for sale at the best price available! 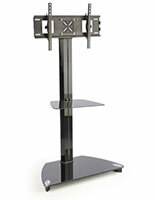 This plasma stand is the monitor stand that will fully complement virtually any living room. 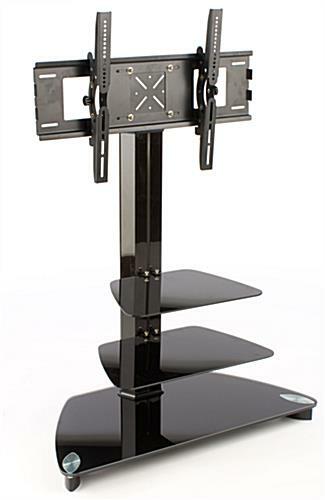 An LCD stand, monitor stand has two adjustable black glass shelves. 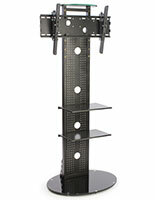 These optional shelves are perfect for holding DVD players, cable boxes and gaming consoles. This monitor stand, like a flat screen stand and a plasma stand, has a hollow pillar holding up your TV that can conceal wires. 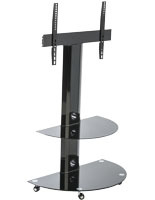 Included with this monitor stand is the necessary hardware to mount your television to the bracket. Some televisions may require other screws that can be purchased at your local hardware store. This display is VESA compatible for 50mm x 100mm to 600mm x 400mm and will hold most brands of televisions including LG and Toshiba.